In Malawi, where less than 12 percent of the population has access to electricity, the lack of a reliable power supply is a major constraint to economic growth. Malawian firms consistently cite weakness in the electricity sector as one of the major obstacles to doing business. When power cuts out, firms must either shut down or run their own generators at very high costs. Indeed, the buzz of generators is a common background noise in businesses and hotels in Lilongwe, the country’s capital. Malawi’s situation is not unique. In sub-Saharan Africa, approximately 600 million people — two-thirds of the population — live without electricity. Inadequate, unreliable, and unequal access to power drives up the cost of business, hinders investment, and limits job opportunities, particularly for the poor. 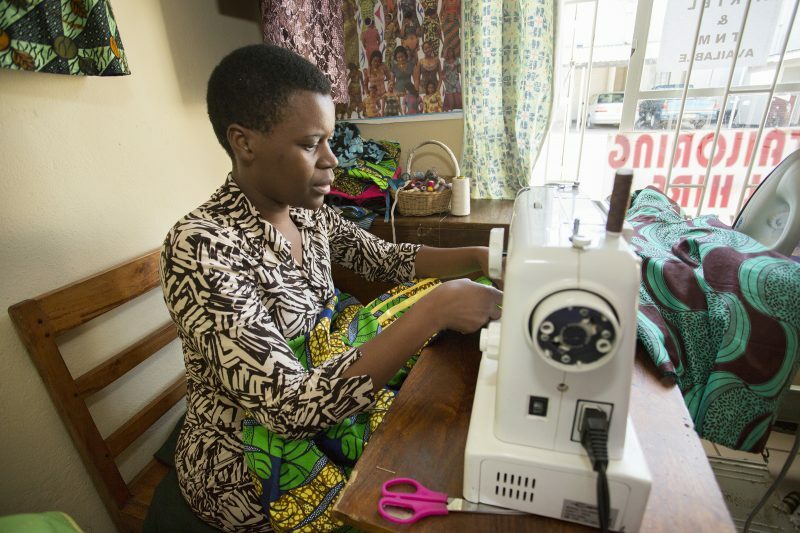 Ivy Namasani makes a dress in her tailoring shop in downtown Blantyre, Malawi. Her store suffers from frequent power blackouts that hamper her ability to do business. As part of the Malawi Compact, MCC is supporting the Government of Malawi in its efforts to strengthen the country’s power sector and deliver reliable electricity to more households, schools, and businesses like Namasani’s. This is why Malawi and other MCC partner countries prioritize electricity investments as a foundation for economic development and poverty reduction. In Benin, Ghana, Liberia, Malawi and Sierra Leone, MCC investments help strengthen electricity systems and support policy reforms that drive business participation in the sector. A strong power sector is critical to fostering long-term economic growth and reducing countries’ need for foreign assistance. When MCC signed a compact with the Government of Malawi in 2011, the Electricity Supply Corporation of Malawi Limited (ESCOM), the national electricity utility, was in a weak financial situation and struggling to provide reliable services to its small customer base — much less expand services to the rest of the country. Moreover, ESCOM’s monopoly on electricity supply meant that independent power producers from the private sector could not enter the market to contribute their capital and expertise to help meet the growing demand for electricity. Today, with MCC’s support, the Government of Malawi is working to create a framework for the country’s power system to grow by modernizing infrastructure and strengthening institutions to expand accessibility while also adopting policies that encourage accountability and private investment. ESCOM faced a number of long-standing problems that slowed development in the power sector. Transforming ESCOM into a more financially stable and operationally effective company, coupled with much needed policy and legal reforms, has been crucial to strengthening the country’s power sector as a whole. Legislation passed by the Parliament of Malawi in 2016 that set the stage for a restructuring of the power market to make it both better governed and more competitive. ESCOM was unbundled into two utilities: the newly created Electricity Generation Company (EGENCO) focuses on electricity generation, while ESCOM focuses on electricity transmission and distribution. Tariff reforms to bring revenues more in line with costs, resulting in ESCOM’s improved financial position. 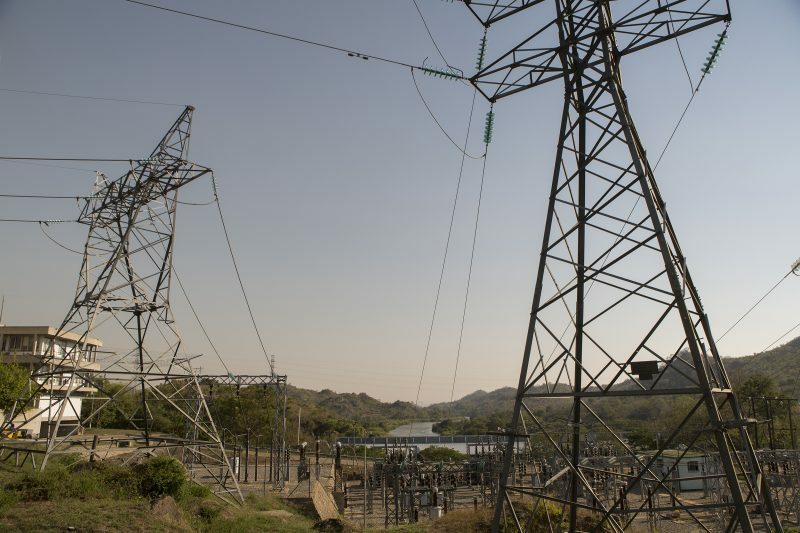 Stronger operational practices to improve maintenance planning and execution, with ESCOM increasing spending on things like replacing faulty utility poles and critical repairs at hydropower plants. Technical assistance and new accounting policies to adhere more closely to international financial standards and implement information technology solutions to better manage inventories. Installation of pre-paid meters and removal of illegal connections to reduce non-collection and non-technical losses from electricity theft. Key reforms and technical assistance have helped ESCOM deliver better service and become a more viable business partner for the private sector — and we’re already seeing results. The utility is making headway in meeting the growing demand for electricity, adding new connections and conducting critical repairs. In December 2016, ESCOM achieved an investment-grade credit rating (BBB) from the South Africa-based Global Credit Rating Co., an independent credit rating agency focused on emerging markets, demonstrating the utility’s improved financial standing. With this investment-grade credit rating, ESCOM is now better positioned as a counterparty to seek more favorable payment terms with vendors and attract private-sector financing for future power projects. Repairs at the aging Nkula A hydropower plant are among critical infrastructure investments being undertaken as part of MCC’s Malawi Compact. These investments, along with technical assistance and support for policy and legal reforms, are helping to improve service delivery and open up new opportunities for business participation in this vital sector. In May 2017, ESCOM announced that three private firms were competitively chosen to build four new solar power plants in Malawi. This process, supported by MCC and the U.S. Government’s Power Africa initiative, will mark the first time ESCOM will procure power from independent power producers. The four plants will also be the first large-scale solar power facilities in Malawi, which overwhelmingly relies on hydroelectric power from the Shire River. Expanding and diversifying to solar power is important because over-reliance on hydropower makes the country’s electricity supply vulnerable during the dry season. Going forward, ESCOM plans to apply for a new tariff to fully reflect its cost of service and to help ensure that the utility has the financial means to support work needed to maintain and expand its network. As the Government of Malawi clarifies guidelines for doing business with ESCOM, more independent power producers are expected to enter the market. The African Development Bank, which has commended Malawi’s power sector reforms, also plans to invest in the country’s power sector.